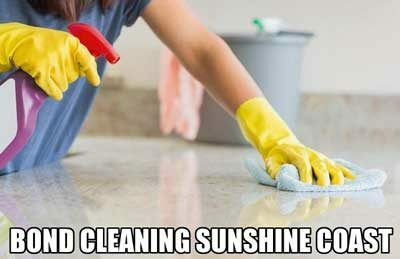 Sunshine Eco Cleaning Services is a leading provider of Bond Cleaning services in Sunshine Coast Area. We do have a highly efficient bond back rate without any stress to our customers in Sunshine Coast Area. All of our bond cleaners have cleaning expertise and state-of-art equipment to carry out both bond cleaning services and carpet cleaning services. For the convenience of our customers, we offer the Bond Cleaning Services to the tenants looking to vacate their home in the Sunshine Coast region including the major suburbs like Maroochydore, Nambour, Kawana Waters, Buderim and Mount Coolum. We provide 3 days rectification guarantee in our bond cleaning services.The most of landlords, local real estate agencies trust our services Sunshine Coast. Bond cleaning Sunshine Coast was done by occupants themselves in past. A few decades ago, life was simple. There were fewer things to take care of. Today, the world is going faster. Earlier, when people moved to places, they had little stuff. So, upon vacating, cleaning the house or office was much easier. Now, there are many things to take care of. Like, data systems, AC, generators etc to name a few. Also, even after so many advancements, life has become a lot busier. Now, when it comes to bond cleaning Sunshine Coast, it is better to outsource to professionals. For more than a decade, the best bond cleaning services in town are Sunshine Eco Cleaning Services. “My office has 20 staff. They work from 7 in the morning till 8:30 in the evening. When I had to move the office, I was worried about work is going to be hampered due to the last minute bond cleaning at my Sunshine Coast office. After checking with many services company, I found Sunshine Eco Cleaning Services. They are the only one in town who actually working 24X7. The team agreed to do the work after 8:30 PM. The team also ensured no disturbance for neighbors. Thankfully my business ran as usual and I was able to get my bond money back too.” James Corporation, Sunshine Coast, Bond Cleaning. 24X7 availability. You choose the time and our team will be there. No need to make any adjustments. Complete bond cleaning: When doing the bond cleaning, we clean washrooms, balconies, windows, roof, refrigerator, oven and any other appliance as well. You will get a deep cleaning of the whole property. Trained staff: The bond cleaning experts at Sunshine Eco Cleaning Services are well trained. They are equipped with all tools for the job. No supervision is required from your end. You can relax as they will make sure you get the best services. Timely services: Once you book an appointment, the team will always be on time. One team handles only one order per day. Thus they will never be late nor will be in hurry to get the work done. Their focus is only on your work and all efforts will be put in to make you satisfied. There are times when you just don’t neBond cleaning consultation: ed a professional bond cleaner. You can always get the consultation from us. Our expert bond cleaners will visit and advise what the best is for you. Full insurance coverage: While working, there are some hazards which are unavoidable. Though all care is taken towards the safety of people and place, accidents may happen. In event of a mishap, you don’t need to worry. Sunshine Eco Cleaning Services has full insurance of all bond cleaning services. All you have to do is call or drop an email. If the requirement is standard, we shall share the bond cleaning rate list. Else, one of the experts will visit the site. Then, they can give you the price estimate of your bond cleaning throughout our service areas. • The Customer is expected to take some time in reviewing this Agreement before using our services and agree to be bound by the terms and conditions set out below. • Full payment is required prior to commencement of service or on the arrival of cleaners in cash and alternate payment method must be organised from before. • If Sunshine Eco Cleaning Services needs to collect keys from a third party’s address outside of the premises where work is to be carried out then $15-20 charge will apply. The client understands that the price he/she has been quoted is not for a “package deal” and does not include anything apart from cleaning labor. This fee is in place to cover expenses the cleaners incur for lost travel, time, job and fuel. • Furniture, appliances and personal belongings. Where present the cleaner will work around without moving items. If the property does not pass an inspection due to the later removal of these items Sunshine Eco Cleaning Services is not liable and a reclean will incur additional cost. • The removal of light fittings and other removable objects must be removed prior to service or removal demonstrated to supervisor during assessment, if this does not occur and the fittings are not easily removed it is not the responsibility of Sunshine Eco Cleaning Services to clean those items. • We are able to remove dirt marks; however, we may not be able to remove all marks such as textas, pens, deep scuffs, gauges etc. We are unable to clean ceilings apart from removing dust & cobwebs. • If the Customer requires Sunshine Eco Cleaning Services to clean behind or under any heavy items (e.g. a fridge, bookshelves or other furniture), they will move those items prior to the commencement of the Service; Premises can be revisited Free of Charge on Receipt of Real Estate/Agent’s inspection report within 72 hours from the date of clean to fix any cleaning mistake. However, the client should let us know within this time frame in written via email enquiry@sunshineecocleaningservices.com.au or sunshineecocleaningservices@gmail.com.au along with pictures of the cleaning issues and the invoice provided to you.. Otherwise, we rectify the cleaning issues but we may charge you extra to fix up. Sunshine Eco Cleaning Services provides professional end of lease cleaning for houses, offices and commercial properties at Sunshine Coast. 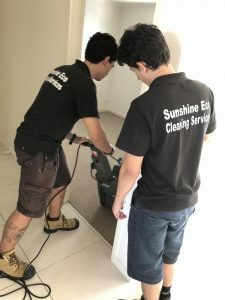 Our Sunshine Eco Cleaning teams will provide you with prompt, professional, friendly, reliable, insured bond cleaning Sunshine Coast & across Australia. 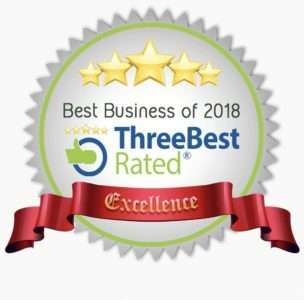 We will provide the equipment and professional products to deliver you the best quality bond cleaning that will make the move easier and without any losses. Our professional End of Lease cleaner teams will provide you the estimated rates to get the best bond cleaning at your home or office. Our team at Sunshine Eco Cleaning Services will be happy to help you with bond cleaning in Sunshine Coast. Hope to see you soon! !